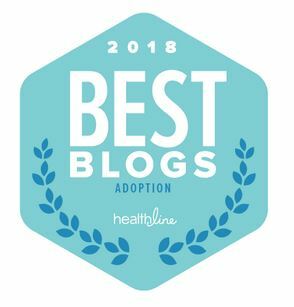 This entry was posted on Wednesday, February 24th, 2016 at 10:20 am	and tagged with adoption, African American Adoption, African American Parenting, Parenting, Politics and posted in Hard Stuff, Other Stuff, Uncategorized. You can follow any responses to this entry through the RSS 2.0 feed. I’ve been saying for months that it’s not the idea of Trump himself as president that scares me (though it would be disgusting) it is the idea that so many idiots, bigots, and racists are out there voting for him. I cannot IMAGINE him winning the overall election, but even just the support we see him getting now is truly alarming. I follow him on Twitter just so I can see firsthand his followers. He retweets so much garbage and so much hatred. Routinely retweets from known white supremecists with little push back. It is appalling. I’m right there with you. My husband is white and his father has said, more than once in my presence, “I’d vote for Trump twice if I could!” My father-in-law is not a racist, he’s a mostly non-political confirmed Republican who will just vote for whoever the Republican candidate is regardless for the promise of lower taxes, but he does feel like Trump is some kind of… I don’t know, a no nonsense anti-politician? Somehow, Trump spouting off his awful, hateful bull reads to my FIL like someone who’s not afraid to cut through the political rhetoric and “say it like it is” rather than playing politics. My husband has made several remarks about Trump being a racist and his father doesn’t really respond. This is what scares me. If the NON racist white people are feeling Trump and will vote for him, what happens if he gets elected and inevitably starts eroding the hard-won rights of woman, minorities, etc? Will they care then? How do I explain to my FIL that a vote for Trump means voting for a worse world for his grandson and people who look like him (and me) without starting an Awkward Family Incident? And should I even be worried about making my inlaws uncomfortable over standing up for something so important? I may not make a difference in the country or the world, but I can make one in my own family. These are the thoughts that keep running through my head. It’s scary that more people aren’t scared. As a Canadian, I have no ability/right to vote in the USA. But, as someone who lives very close to the USA and is impacted on a nearly daily basis by USA politics, I’m worried. But even more, now I am a mother to a dual Canadian-USA citizen who is possibly mixed race (I realize the description of “possibly” is weird, I’m not sure how to say explain it – our son may be mixed race, but may not be, and if he is at this point it’s not obvious based purely on skin tones). Anyways, I’ve always considered myself liberal. So while I have NEVER supported Trump and his ideology, now I too am scared for our future and I also see how this impacts my family on a much more personal level. I hear people who are afraid. They feel as though they were promised one version of their lives, then times changed and left them behind. It stems from people who never really understood their inherent privileged until it was gone. (When you put it in these terms, you can see how Trump– the poster child of privilege– has become their candidate, can’t you?) Putting on my sympathetic hat, I can understand how this would turn your world on its ear. This is, however, where my sympathies stop. Being afraid isn’t the problem. It’s what Trump followers do with that fear that makes me worry. They don’t look toward building better communities together, rather than at the expense of others. Women, minorities, immigrants, you know… any one who isn’t “them.” The fact that they set up the proposition of America as an either/or? That’s what hurts my heart. If I’d asked you that question it would be probably because I am checking my privilege. If I suddenly would be aware of something very disturbing that feels new to me. I need to check is it new or is it new to me. Unfortunately privilege is like an onion there is always a fresh layer. Assuming everybody is available for me to help me over on my blindness is again privilege. I don’t really know how to overcome this myself I just know that it is uncomfortable but necessary work. Oh I am honored you named your car after me. When my in-laws asked me what I thought of Trump last summer, all I could do was laugh until I realized they were serious. *awkward* Even my own folks are on board. I remain baffled and wonder if I’ll ever get to cast my vote “for” someone. Oy, I love binge readers because you make me reflect. Mor than a year later… This post depresses me (grabs some wine). I can hardly believe where we are. Sigh, gulps wine.